Footwear considerations for pregnancy? Yes this is important for mums-to-be to think about. After all, your feet will be carrying two (or more!) throughout your pregnancy! With pregnancy comes an exciting wardrobe overhaul. For sure, you’ll need maternity wear to accommodate the growing bump, as well as the right nursing clothes for breastfeeding. Footwear, however, is something that tends to be neglected. 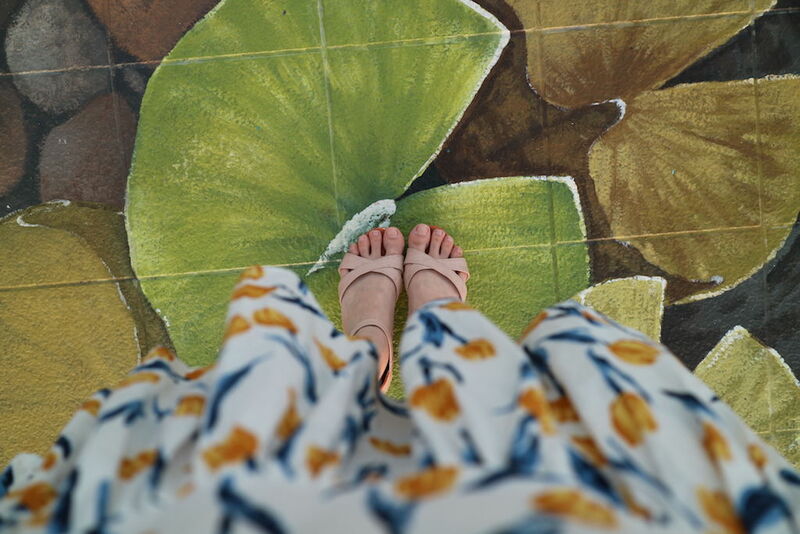 When I was pregnant, I noticed that as my belly grew bigger, my feet started to hurt, especially my heels. The pain didn’t go away even with foot massages my hubby lavished on my feet before bed each night. That got me thinking: Was I providing enough support for my feet? After all, the feet bear the body’s entire weight, and with a foetus to carry, that extra weight will surely place additional strain on them. A growing belly also shifts our centre of gravity and changes the way we walk, so extra stability and support is crucial. For Stella Xiao, mom to nine-month-old Shanice, “very bad water retention” and “joint pain” drove her to find more comfortable shoes during her pregnancy. 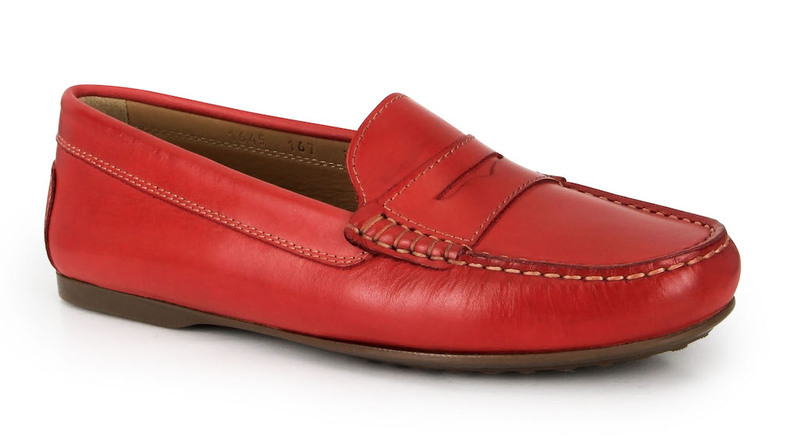 “As I grew heavier, I felt that my existing shoes could not give me enough support. So I bought Fitflops for better cushioning and support after seeing other pregnant women wearing them,” Stella says. In terms of footwear for pregnant women, we’re often given general recommendations, such as slip-on types that are easy to put on, non-slip soles to avoid falls, and perhaps go one size up for extra roominess. But with pregnancy taking a toll on our feet, it is vital to wear the right footwear, to ensure the health of our feet during pregnancy and beyond. Most shoe shops sell a variety of non-slip shoes that are suitable for pregnant women. However, with such a precious burden to carry wouldn’t you prefer to get expert fitting for your pregnancy-affected feet? 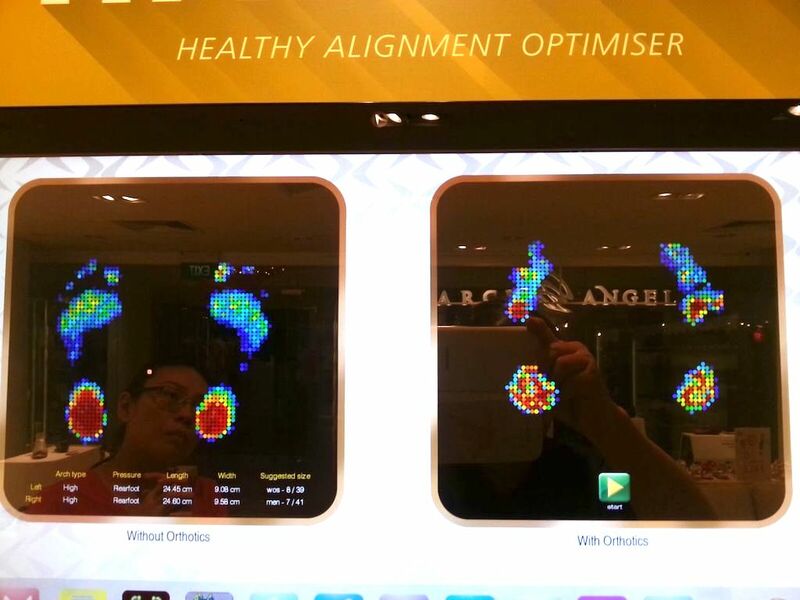 Owen, who works with Arch Angel, a footwear concept store which stocks footwear with ready-made orthotics, shares his picks. They’re well-made and fashionable to boot! Weight gain during pregnancy places additional stress on our feet, especially the arches. Shoes that provide good arch support can reduce the pressure placed on our feet, and eliminate foot pain experienced during pregnancy. Orthotics are specially moulded inserts that are fitted into a shoe. Unlike run-of-the-mill inserts that are too flat to be supportive, orthotics provide support for the foot by distributing the pressure we apply on our feet while walking, standing and running. Orthotics also work to realign foot joints, minimising risk of ankle and knee injury as we move. Here’s an image of my feet (at 38 weeks preggers!) and the amount of pressure they bear, taken on Arch Angel’s weight-bearing measurement machine (the Red zones are the areas sustaining the most pressure, blue zones are the areas carrying the least load). Without orthotics (left image), my heels are hot red, indicating that they bear most of my weight. That explains the heel pain during my pregnancy! With orthotics, the pressure on my heels is reduced. This is due to a better, more even distribution of weight across my feet. Have you ever heard about women’s feet becoming bigger or longer after pregnancy? According to Owen, this is caused by over-stretching of the plantar fascia, the fibrous band of tissue between the heel and forefoot, due to lack of good arch support. Think of it as a rubber band. With continuous stretching, a rubber band loses its tensility and starts to weaken. Likewise, over-stretching of the arch can cause extreme stress or inflammation to the plantar fascia. On top of causing foot pain, this eventually causes it to be elongated. Shoes with good arch support reduce the stress on the plantar fascia and prevent such problems, so make sure your shoes have a firm, supportive insole. The flats also fell flat in one crucial aspect: their flimsy heel counter. “People with feet that are flexible or which require more support should wear shoes with a strong heel counter. The counter is the back part of the shoe that wraps the heel. A strong heel counter helps to control excessive movement of the rear foot, thus stabilising the foot for safety,” Owen explains. So if you usually wear slip-on footwear which do not have a heel counter, look for for shoes with deep heel cups that cradle and support the heel when you are pregnant. Because of fluid retention during pregnancy, foot size can fluctuate even within the span of one day. This can make finding good-fitting footwear difficult. Experts recommend going shoe shopping in the later part of the day, such as in the afternoon or evening, when the feet tend to be more swollen. Choosing shoes that have adjustable features are another way to ensure that your footwear will fit well all the time. Adjustable straps allow you to adjust the fit of your shoes according to the width of your foot, so that when the feet are swollen, they are not constricted and uncomfortable. “In addition, shoes that fit well and are not too tight encourage circulation of blood and fluid of the lower limbs,” Owen says. A good choice are Mary Janes, which are adjustable yet attractive. 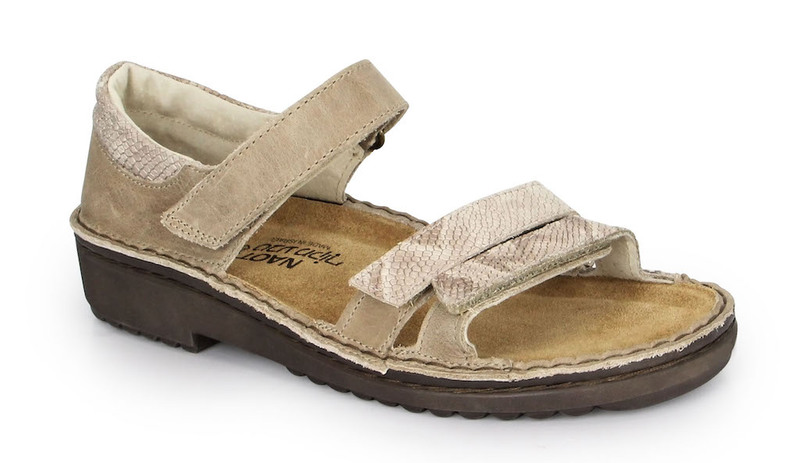 Sandals offer sturdy and comfortable options for more casual occasions. 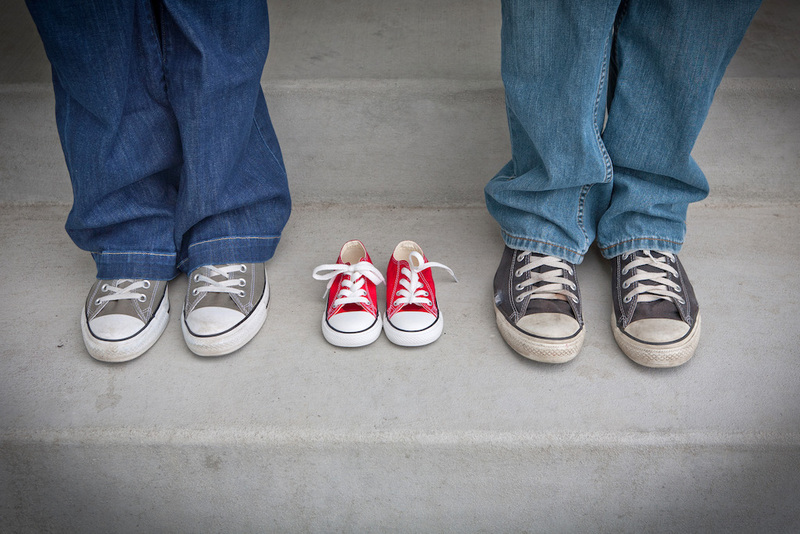 Shoes that allow the toes enough room to move are more comfortable for pregnant women. Other than making sure your existing shoes are not too short or small for you, you can also look for shoes with a roomy toe box. The toe box is the area overlying or covering the toes, and the deeper it is, the more room your toes have. You can also opt for open-toed footwear. Noelle Kwah, mommy to three-year-old Samuel, found that her feet would ache when she wore footwear that covered the top part of her feet, so she preferred open-toed footwear. High heels exert more strain on our feet and back than flat-heeled shoes. Walking in heels also increases the risk of falling, so for safety reasons, lower heels are more suitable for pregnant women. Shoes with lower heels and sturdy outsoles provide stability and balance for pregnant women. Shock absorption and slip-resistant features are also welcome. Comfortable shoes can be stylish as well, and now that you know what to look out for, you’ll be able to walk the talk with ease, all through pregnancy and beyond!